ELBISCO was awarded as one of the 38 National Champions in this year’s 2016/2017 European Business Awards, in a special event held at the residence of the British Ambassador, on Thursday January 19, 2017. Specifically, the company was awarded as National Champion in the Employer of the Year category, for its successful practices in human resources management and development. The award was received by Mr. Stavros Bozikas, Director of Human Resources at ELBISCO. Having been distinguished among the 38 National Champions in Greece, ELBISCO is competing for a distinction in the second phase of the competition, which involves online voting by the public. 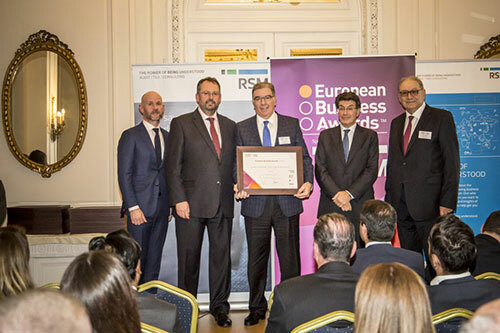 Until March 1, 2017 at 6 pm, the public can watch the company’s entry video and vote online at http://www.businessawardseurope.com/vote/detail-new/greece/19970 to make ELBISCO the National Public Champion.